The MGM Grand Las Vegas is a hotel plus casino located on the Strip. The MGM Grand undoubtedly lives up to its name and delivers Las Vegas’ largest gaming floor and one of the world’s biggest hotels. Also, it is the world’s 3rd largest hotel complex by the number of rooms and the country’s 2nd largest hotel resort complex. 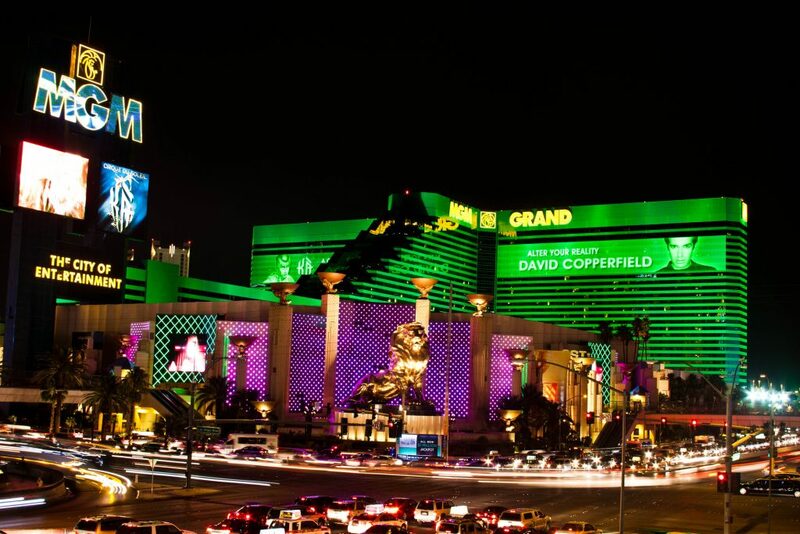 When it opened on December 18, 1993, MGM Grand Las Vegas was the world’s largest hotel complex. When it first opened, it had a Wizard of Oz theme, such as using decorative Wizard of Oz memorabilia and the green “Emerald City” building color. The Cowardly Lion, the Tin Man, the Scarecrow, and Dorothy were all seen in front of Vegas. 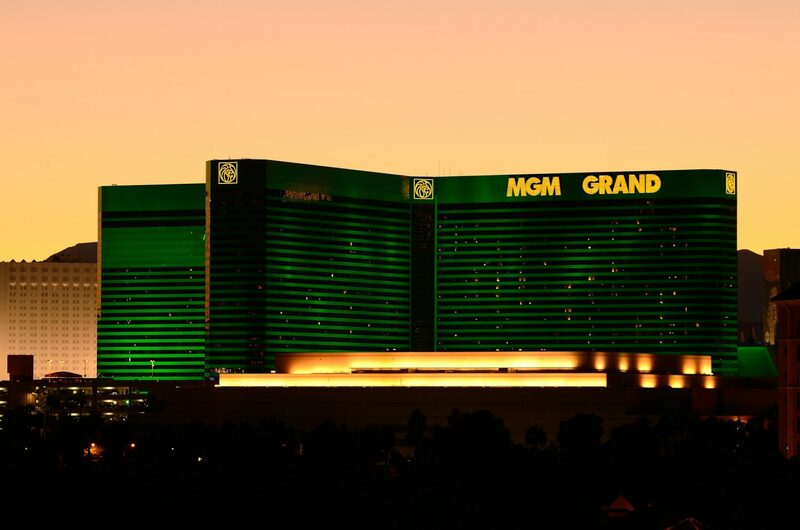 MGM Grand is owned and operated by a global hospitality and entertainment company called MGM Resorts International. During the 1960s, the property was originally the Golf Club Motel site. The latest MGM Grand has undergone several renovations, and now the gigantic hotel complex contains everything that makes Vegas the destination it is. It has an endless array of entertainment and gambling options vying for attention; the energy levels never drop below ‘lively’. The hotel is typically a self-contained city in its own right. If walking through the neon and clamor is overwhelming, there is a monorail stop that is attached to the hotel. In 1995, the Las Vegas Monorail, a driverless monorail mass transit system, was built to connect the complex to the Bally’s hotel-casino. Later, the track was updated and became the southernmost section of the 3.9-mile Las Vegas Monorail. This complex is built for the masses and has grand architectural gestures like monumental sculptures of golden lions. The theme of the complex is Hollywood; the overall look of MGM Grand is impressively contemporary and it continues to have a fun, engaging ambiance. There are a dizzying number of options when it comes to rooms. The MGM Grand hotel has a total of 6,852 rooms, suites, and penthouses, together with other separate VIP hotels within this property called “The Mansion” and “Skylofts.” The Mansion is for guests who would like their stay to be private. 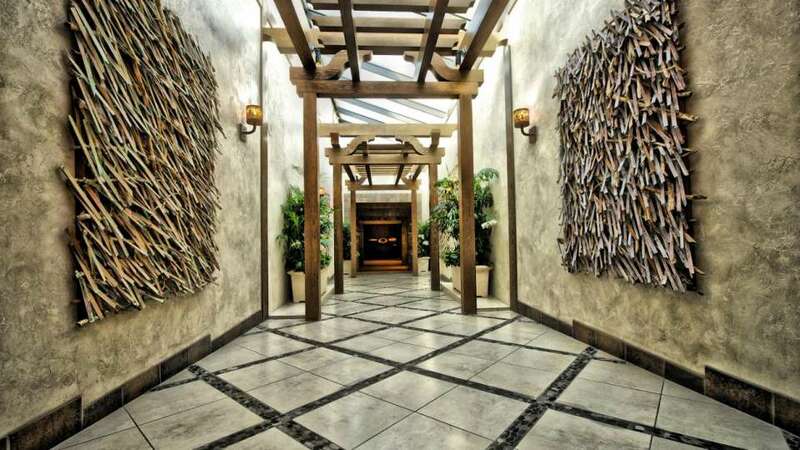 The Skylofts is a “baller” VIP hotel: it hosts celebrities. These rooms are normally reserved, but if they are open, anyone can book them. They are well upwards of 1,000 dollars a night. The Grand King Strip View is pleasingly oversized with design touches like orange color accents that popped pleasingly and padded headboards. Jewel tones and geometric-patterned carpets on the bedding and cushions make for a comfortable, modern feel. The marble bathrooms add to the elevated appeal and have the hotel’s brand of toiletries. Guest can spend their day at the barber shop, Christophe Salon or Grand Spa. There are thirty treatment rooms along with lounges, steam rooms, whirlpools, and saunas. Spa treatments, which take place from 6 a.m to 8 p.m. every day, include a wide variety of massages, facials, other body treatments, plus tanning services. The fitness center is also open daily from 5:30 a.m. to 8 p.m. and features weight equipment and top-level cardio. The MGM Grand Garden Arena is a 17,157-seat multi-purpose arena that hosts major events and concerts. The venue hosted 2014, 2015 and 2017 Latin Grammy Awards. It also hosted the ACM Awards on multiple occasions. From its opening, the arena is known for hosting lots of professional boxing super fights like Mike Tyson II vs. Evander Holyfield, Floyd Mayweather vs. Oscar De La Hoya, Manny Pacquiao vs. Floyd Mayweather, and more. Hakkasan is home to the world-famous DJs Kaskade, Steve Aoki, and Calvin Harris who has risen to stardom with chart-topping collaborations with the best in the music industry. This DJs continues to bring their signature sound to the dance floor at Hakkasan. It’s among the most exciting nightlife and restaurant designs ever conceived. The nightclub offers guests a diverse nightlife experience with various areas and atmospheres, inspired design and cutting-edge technology immersed in 3 levels of refined decadence. Shopping at MGM Grand is unique and fun. Their diverse collection of shops include souvenirs, gifts, and fine jewelry, as well as women’s and men’s fashions. The stores at MGM Grand include America!, Black Clover, Below The Knee, Essentials, CBS Television City, Grand & Company, Grand Express, Front Page Newsstand, Jabbwockeez Store, KÀ Boutique, Las Vegas Harley Davidson, Jeff Mitchum Gallery, Misura, Optica, Paradiso, Nectar Bath Treats, REVIV, Rocks The Jewelers, Quicksilver, Spirits & Co., The Art of Music, Stupidiotic, Welcome to Las Vegas, The Beauty Shop, and West Wing Boutique. Powered by Zero Latency, guests will be taken to an immersive world at an epic scale. Experience exciting, social adventures: rogue killer robots, topsy turvy pathways, and hordes of the undead. Visitors can also explore the VR arena, take part in a contest, and fight together wirelessly. You can play up to eight players at the same time. 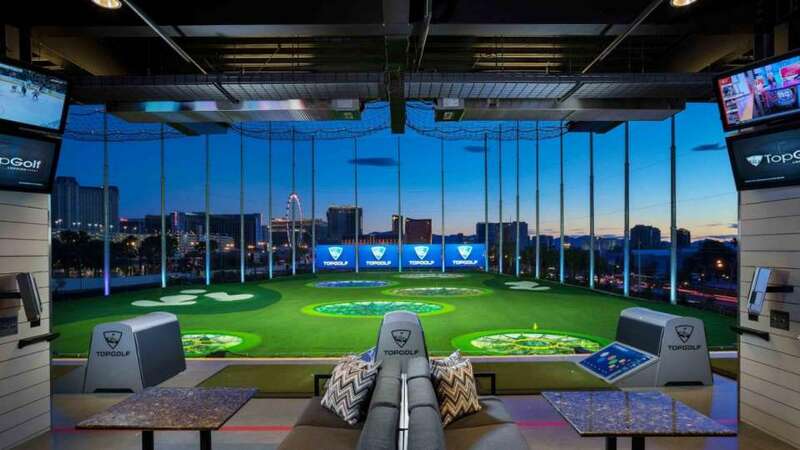 Topgolf is known to be the hottest fresh concept on the Vegas scene. Topgolf is unlike anything you have ever experienced: a 4-level sports entertainment venue with exciting, interactive golf games plus balls that score themselves. 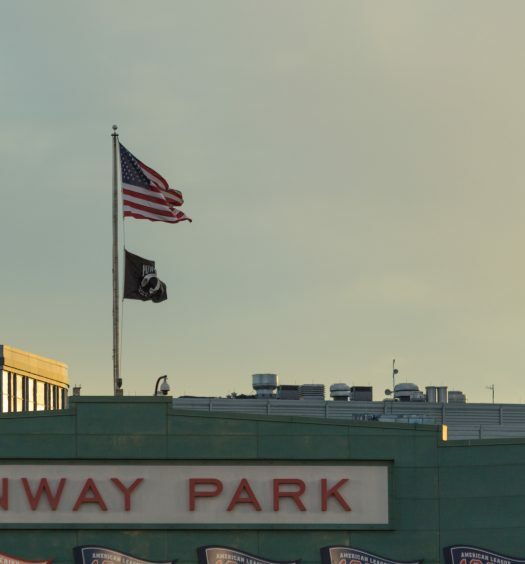 It features delicious food, dynamic event spaces, water features with cabanas, a stage for live concerts, hundreds of HDTVs, climate-controlled hitting bays, and more. The MGM Grand has the thrill to satisfy guest’s craving with some of the best shows Las Vegas has to offer. Brad Garretts Comedy Club – Brad Garrett is best known for the role he played on Everybody Loves Raymond, an Emmy award-winning sitcom. He returns to his Vegas roots with Brad Garretts Comedy Club. The comedy club is regarded to be among of the best shows in the city and features old-school vibe where you can laugh your night away to entertaining performances by established comedians as well as up and coming acts. 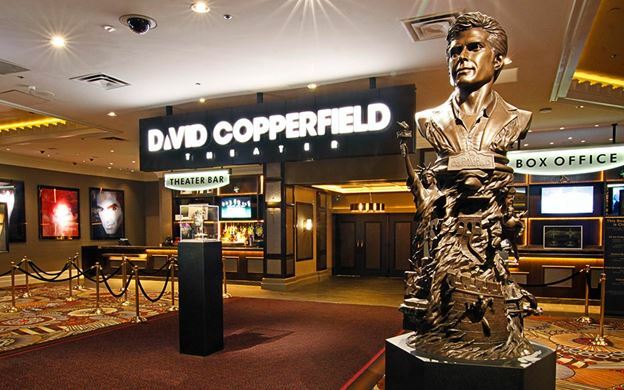 David Copperfield Theater – David Copperfield is a magician, described by Forbes as history’s most commercially successful magician. His television specials have won a total of 21 Emmy Awards. He is best known for combining storytelling and illusion. The living legend entertains guests at the MGM Grand with his thrilling nightly shows. Other MGM Grand entertainment venues include Jabbawockeez Theater, which features Beacher’s Madhouse and “Jreamz” by the eponymous dance crew. Guests can enjoy this exciting game, full of suspense and intrigue with a betting minimum of $10. Blackjack lovers can test their luck and skills in the classic game. MGM Grand offers a range of blackjack varieties at around 50 tables. Most of the games feature 6 decks. There are more than 25 tables featuring six-deck shoes where the house dealers hit to soft 17. This is the most played blackjack game at MGM Grand. Re-splitting aces and double downs are allowed. You can double down after you have split and the surrender option is also available. The minimum bet here is 15 dollars when the action is slow, and 25 dollars during workdays. During weekends or busy days, the minimum is 100 dollars. The maximum bet is 10,000 dollars. Roulette is among the popular table games at this casino, so there’s always a large number of guests playing it. You can either play at a $10, $15, or $ 25 minimum American Roulette roulette table. Craps is a new found popularity in Las Vegas. Craps tables at MGM Grand offer the best bets in gaming. Odds on all Craps games are 3-4-5 with a 10-dollar minimum. Virtual craps games are also available with a one-dollar minimum. MGM Grand has more than 1,000 slot machines and offers a variety of progressive slot machines that have paid players some of the largest jackpots recorded in history. Limits start at one penny, working their way up to 1, 2, and 5 dollars on the main floor. There is a huge selection of games that guest will enjoy giving a spin. For guests who would like to up the ante, the high limit slots at MGM Grand features private restrooms, private lounge, and an unmatched level of personal service. Among the many slot machines, you will also find several video poker. Those limits start at 1 dollar and go up to 2, 5, 10, and 25 dollars, while the limits for slot machines are 5, 10, 25, 50, 100, and 500 dollars. Cleopatra II is one of the exciting slot game selection you will find at MGM Grand. The sportsbook at MGM Grand is completely smoke-free and one of the best in Las Vegas. Located across from the sports bar known as the TAP Sports Bar, the horizontally-built sportsbook at MGM Grand has lots of big screen TVs, plus a ton of desk and seating space for horse bettors, VIPs, and sports bettors. MGM’s Race & Sportsbook venue is custom designed to bring guests the greatest in live sporting events. You just have to sit back in comfort and take in 60 TV screens as they stream sports action from all major international race and athletic events simultaneously. There many options for food options nearby. Additionally, Sports Deli offering Nathan’s Hot Dogs and TAP Sports Bar, which also has lots of TVs, are just next to MGM’s sportsbook. Next to that, there is a Bonanno’s Pizzeria, just outside the sportsbook. If you bet $100 on sports or $10 on horses, you will be given a drink ticket (complimentary drinks). Features broadcast events include the 4 major sports along with the National Association for Stock Car Auto Racing (NASCAR), thoroughbred racing, championship tennis, championship golf, soccer, MMA, and boxing. MGM’s Skyboxes offer a special 2nd-level view, and it and can comfortably host up to ten guests. SkyBox 3 and SkyBox 2 can be configured to accommodate up to twenty people with their own beverage server. MGM Grand has one of the active poker rooms in Las Vegas. The poker room offers a comfortable, contemporary ambiance with heart-racing action. Guests can step inside the redesigned 13-table room, near the TAP Sports Bar, and enjoy 1-2 No Limit games, 7-10 No Limit games, or 2-5 No Limit Hold’em games.  There are 4 poker tournaments every day: 60 dollars at 10:05 p.m. (400 dollars guaranteed prize pool), 80 dollars at 7:05 p.m. (750 dollars guaranteed), 60 dollars at 2:05 p.m. (400 dollars guaranteed), and 80 dollars at 11:05 a.m. (1,000 dollars guaranteed). MGM Grand Las Vegas has a wide selection of restaurants. The list of options for dining is a buffet in itself. Guests can enjoy the many flavors that the restaurants at MGM Grand have to offer. Whether it’s fine dining or anything fast, there are more than 20 places you can eat at MGM Grand Las Vegas. At the very top of the line, there is the three-Michelin-starred Joel Robuchon Restaurant, where guests can enjoy one of the most desirable culinary experiences in the world in a luxurious Art Deco dining room. Chefs Michael Mina, Masaharu Morimoto, and Tom Colicchio, who are all globally admired, have outposts here, and they are competing with the best in Vegas. A fast food court, coffee stands, delis, sports bars, and the Grand Buffet completes the choices. There is definitely something for everyone when it comes to restaurants at MGM Grand. The finest dining can certainly be found at this hotel complex. The awards are almost endless; MGM’s restaurants have won Five Diamonds by AAA and Michelin Stars. Nothing would ensure guests a romantic evening like the MGM’s award-winning restaurants. This is definitely the best way guests can experience the best of Vegas dining. MGM Grand is one of the best hotels and casinos in Las Vegas and the whole world. It’s a perfect option for those who love gambling, those who want to dine, or guests who are looking for entertainment. 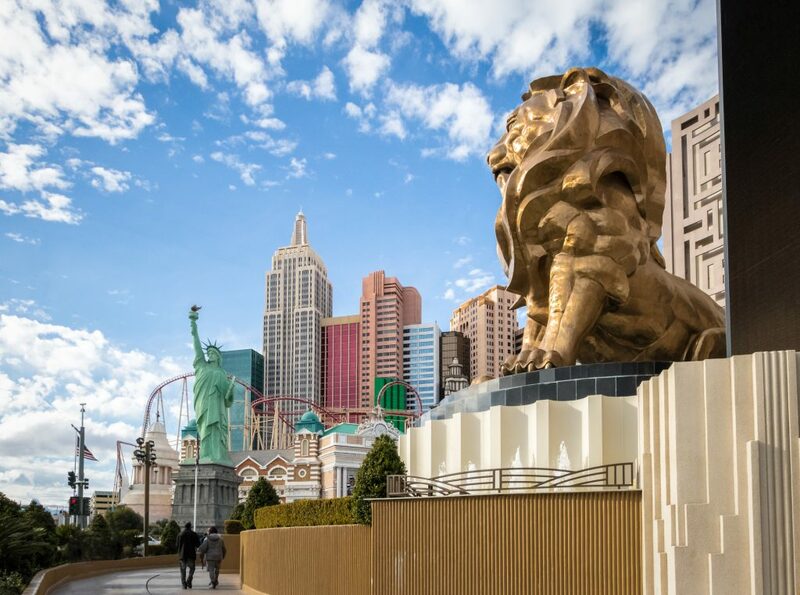 It’s also one of the family-friendly resorts you will find on The Strip because it has huge entertainment options and pool areas: MGM Grand is a must-visit.